Although not a perfect game Rogue Legacy does what it does well and manages to create a rather compelling game that mixes Rogue elements with RPG. There is also a story in the game, although it does often feel a little side-lined but to be honest I didn’t find this a detriment and in a game like this. You want to be constantly fighting and discovering things, not scrolling through pages of text making this bare-bones approach much more favorable. 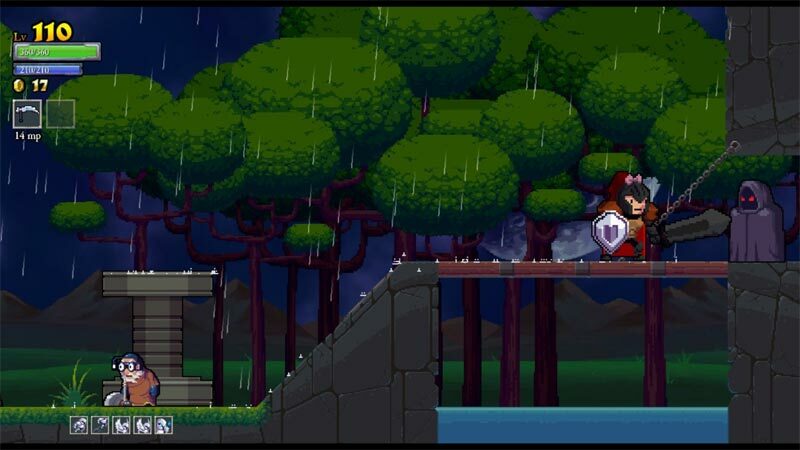 Rogue Legacy gives a fresh take on old thoughts, plays well with a keyboard and better on a controller, and stands strong even if some of its own biggest traits are ever-so-slightly underdeveloped. Superbly designed and balanced, this game rides the line of frustration and fun to deliver that one-more-go feel that will have every barbarian king and queen roaring a battle cry, then gearing up to take on that ancient evil one more time. Rogue Legacy's visual playfulness and willingness to tweak the gameplay with these traits builds a wonderful sense of discovery. It took me nearly 20 hours to finish the game my first time, but it never stopped showing me new and surprising things. These tiny, unique risks set Rogue Legacy apart from the various games it openly draws inspiration from — I've never played an action game or a perma-death driven RPG that succeeds the same way. Rogue Legacy is simple yet deep, easy to pick up yet hard to master. Even when its bosses lay defeated, the game continues to heap tons of gameplay onto your PC with a more difficult New Game Plus mode and more secrets to find. It's no wonder why so many generations of heroes spent years exploring this castle, because it's easily worth you spending many hours with it. Rogue Legacy is one of my favourite games of 2013 so far. 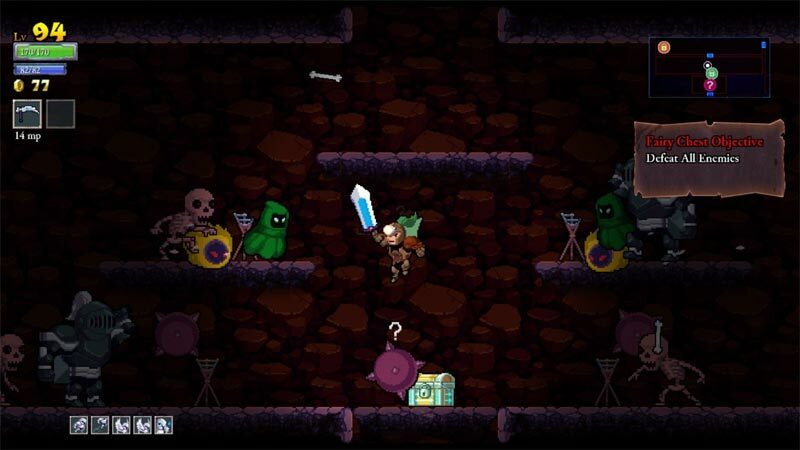 It’s a hugely compelling mix of 2D action-platforming and Roguelike game design, with excellent pixel art and just the right level of challenge. It’s the wildly inventive traits system, however – and the fact that it’s meaningful – that really elevates Rogue Legacy. This is a game with a genuinely unique hook, and the gameplay stones to back it up. Clever, creative, and addictive as hell. The game gradually grows in complexity over time, but it's still a pretty straightforward platform hack-and-slash at heart. If you plan on "beating" it, it'll certainly keep you busy for quite a while, but this is more a game to dip into now and then rather than playing as your "main" game. By turns accessible and brutal, charming and cheeky, Rogue Legacy isn't the deepest game you'll ever play, but it's an easy recommendation for those seeking a great "coffee break" game. 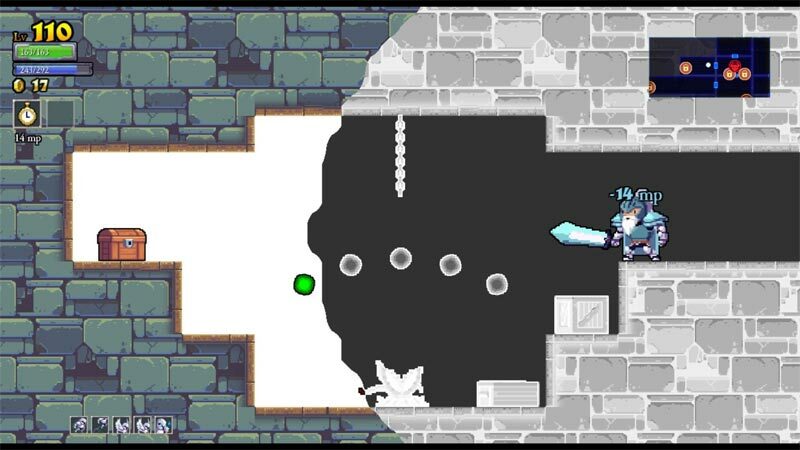 Rogue Legacy is a game that is full of interesting ideas, and the rare thing is, they all work. Sure, the random nature of the game can lead to some frustration when your three potential characters each have a crappy trait, but part of what makes Rogue Legacy fun is trying to make the best out of a poor situation. 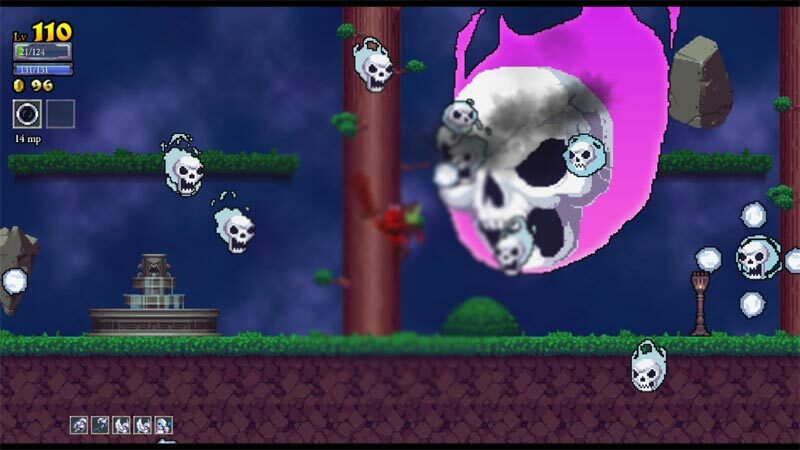 Rogue Legacy is a fantastic platforming adventure. While it's far from perfect, it's brilliance is in the way that it places a new spin on the genre. It masterfully gives players reasons to keep on coming back for more, building their legacy, and ultimately making a run towards the end game. The visual glitches and lack of enemy variety do little to take away from what is a lovingly crafted game unlike any other I've played before. This is a game that won't just eat up your time, but devour it. If you somehow manage to stop playing after one or two runs, then you are a stronger-willed person than myself. I still feel as if I have a lot to master and can't wait to do so for months and months to come. 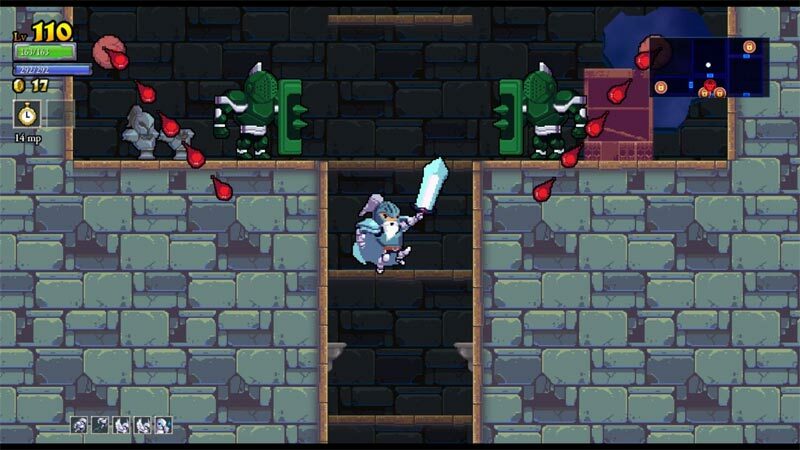 Rogue Legacy is just about as close to perfect as a randomized action platformer could hope to be. The constantly changing challenge, and character to face it with, make every game feel different. The flow of the game, from exploring the castle, dying, spending the accumulated gold on enhanced skills, and then heading back in to the dungeons to test your upgrades makes for a gaming session that can easily kill more hours than you’d realize. Rogue Legacy's race-tuned for capturing that wonderfully mindless strain of achievement you get from a dungeon crawler, then, but it offers antic platforming and a surprising level of tactical thoughtfulness layered on top. This combination - and some wonderful detailing in the enemy design - ultimately saves the whole thing from that sense of emptiness that can set in during the middle of a loot-grinding adventure where you feel you've seen a good proportion of what the game offers and now you're just trying to raise your stats and plough on to the end. 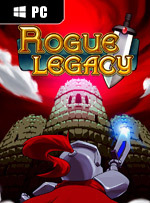 Rogue Legacy remplit parfaitement son office. Malgré une indéniable répétitivité de ses mécanismes, le jeu parvient à se renouveler, grâce à ses niveaux générés aléatoirement et à son système d'évolution des personnages intelligent, qui font qu'on a toujours envie d'aller plus loin, et de se confronter à de nouveaux défis, toujours difficiles mais jamais impossibles. Il sistema di controllo - rigorosamente da approcciare con un buon joypad - è implementato davvero bene, detta semplicemente, giocare con Rogue Legacy diverte. E diverte anche a lungo, dal momento che completare l'avventura richiederà parecchie ore di gioco e che dopo aver assistito ai titoli di cosa c'è ad aspettarci un bel "Game+", ancora più tosto. Insomma, sia mai che vi "acchiappi", ne avreste davvero per parecchie partite.